Dr Ivan Sikora calls for education and regulation around the use of unmanned aerial vehicles (UAVs), following the release of the UK Airprox (aircraft proximity) Board report into an Airbus A320 aircraft landing at Heathrow which came within 6m (20ft) of a drone in July. Programme Director of the MSc in Aviation Safety Management and Senior Lecturer at City University London, Dr Ivan Sikora, has called for greater education and regulation around the use of drones or unmanned aerial vehicles (UAVs). 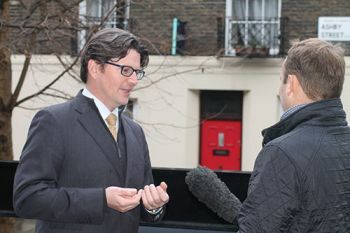 Dr Sikora was interviewed by BBC London transport correspondent Tom Edwards on 12th December, following the release of a report by the UK Airprox (aircraft proximity) Board into the a device believed to be a drone, that came 20ft (6m) of an Airbus A320 aircraft landing at Heathrow Airport in July 2014. The UK Airprox Board's report aired the concern that the dangers associated with flying such a drone in such close proximity to a commercial air transport aircraft in the final stages of landing were not self-evident. Dr Ivan Sikora said that in order to create a safer environment for drones to operate in, there is the need for "education in the first place, legislation, of course, to make legislation possible and the need for their operators to properly identify the drones". A Heathrow spokesman said the "unauthorised use of unmanned aerial vehicles in proximity to an airfield is both irresponsible and illegal" and that the airport would be pursuing prosecution for violation of airspace. He added that within the past year in France there was a 350 percent increase in the use of drones. Please visit this weblink to read the full BBC London story with accompanying video clip.